Hello everyone! 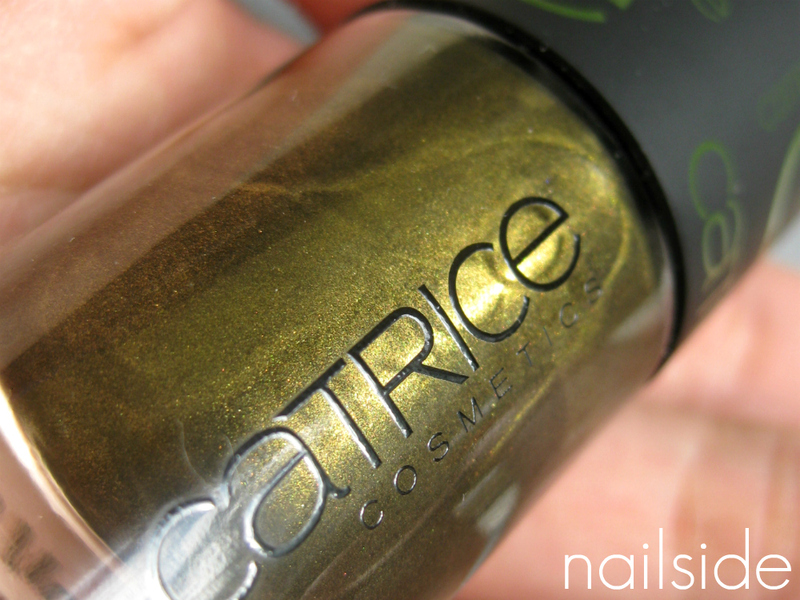 For today's post I have Welcome To The Jungle to show you, it's from Catrice's limited collection Papagena. Next to the lipsticks and eyeshadows, there were four nail polishes to choose from, but I only bought Welcome To The Jungle because the rest looked very familiar to me. What do you think of Welcome To The Jungle? As a nail art fan and an insane Harry Potter freak, can I make a request? Do some HP nail art. This is amazing! Such an enchanting color! I totally overlooked this polish! I'm happy to see it swatched 'cause I bought it today ! interesting color! I find it pretty! 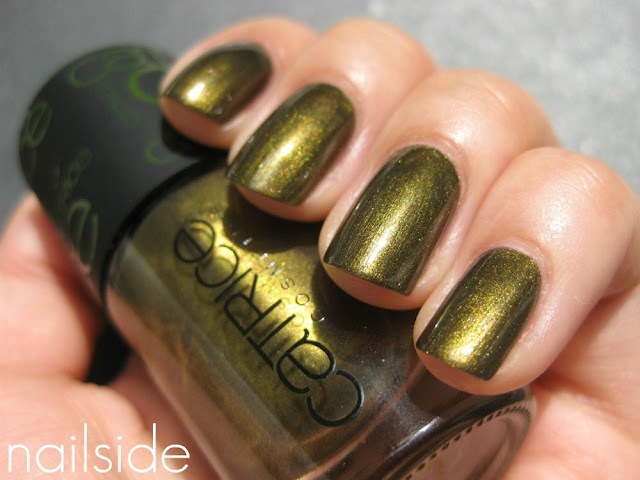 looks like mac golden olive pigment but in a polish! Gorgeous. This should be in their permanent line. I bought this polish yesterday!! It looked awesome in the bottle and in the nailwheel swatches and now looking at your photos I know it'll look even better on the nails. Catrice - Run Forest Run! China Glaze - Raspberry Festival?